"Some detainees resisted with improvised weapons, and in response, four less-than-lethal rounds were fired," Navy Captain Robert Durand said in a news release. “Well, it’s interesting to find out that they have makeshift weapons. Whenever we have gone down to visit our clients, the only things that they are allowed is small ballpoint inserts of a pen. They’re plastic, little, almost like straws with ink at the end of them. That’s pretty much all they’re allowed, so I don’t see, especially given the evasive searches that were conducted in February, what kind of makeshift weapons the government is referring to. That’s still to be determined, especially since there’s no way they could have any sort of weapons,” she argued. Panuco believes the purpose of the transfer was in fact to break the prisoners will to continue carrying out the hunger strike. The reason for the move was explained because the detainees covered surveillance cameras, windows and partitions, preventing guards from observing them during a hunger strike that has been continuing for more than two months. 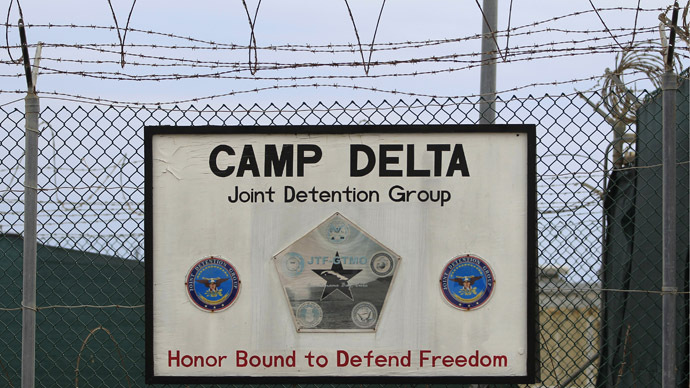 "Round-the-clock monitoring is necessary to ensure security, order, and safety as detainees continued a prolonged hunger strike by refusing regular camp-provided meals," Durand said. 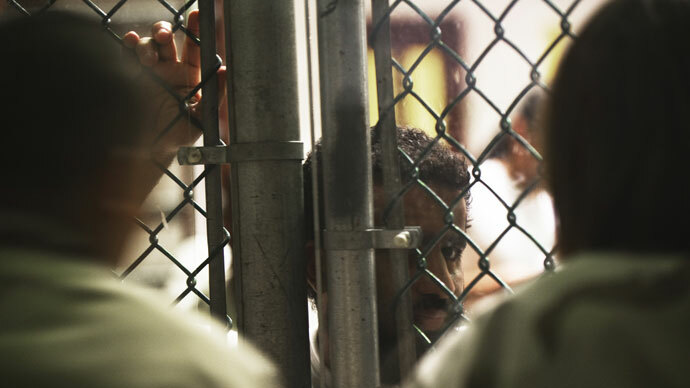 Each detainee's physical and mental health has been evaluated after the sweep. She believes that isolation is just another effort to undermine solidarity among the prison population. 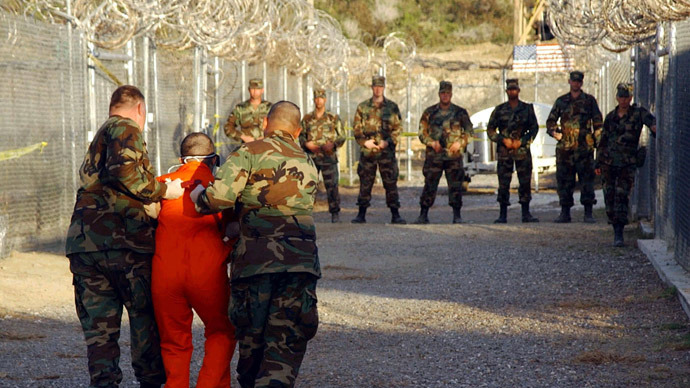 The detention camp at the Guantanamo Bay US Naval Base in Cuba holds 166 men, most of them captured more than a decade ago in different counter-terrorism operations. Saturday's early-morning sweep took place in Camp 6, a medium-security building where 80 to 100 detainees lived in cells that open into communal bays where they could eat, pray and watch television together. As part of the hunger strike, prisoners have been refusing to let food carts enter some of the bays. 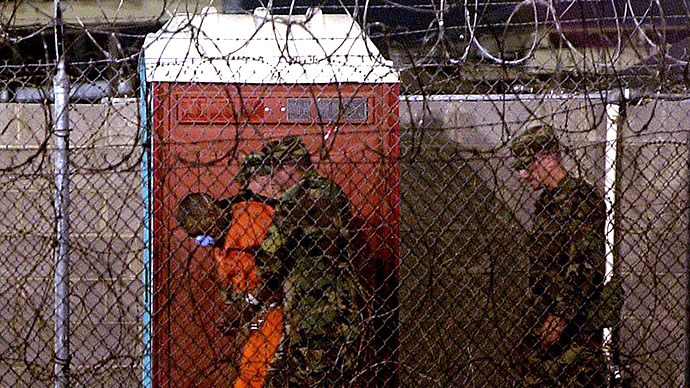 Lawyers say most of Gitmo inmates are currently participating in the hunger strike. The US administration, however, is only acknowledging 43 cases, including 11 people who are being force-fed liquid nutrients through tubes inserted into their noses and down to their stomachs. The hunger strike began in February in protest to the seizure of personal items from detainees' cells. 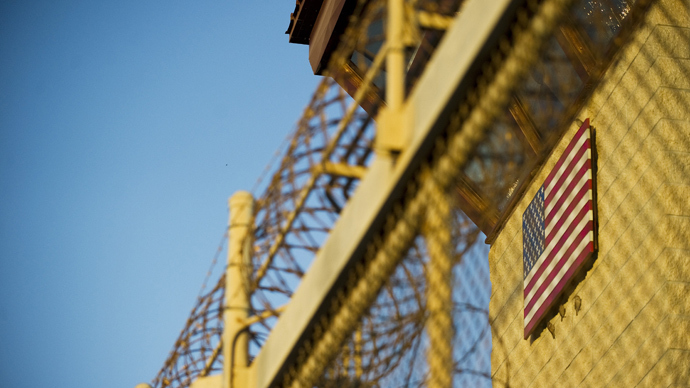 Some prisoners told their lawyers that their Qurans had been mistreated during the cell searches, which the US military denied. Lawyers say the hunger strike is caused by the fact that most detainees are held there without being charged, overwhelmed by the depressing feeling they may never leave the prison. Obama pledged to close the facility at the start of his first term, but has failed to do it so far.